Ingrown nails are common problems. Basically, an ingrown nail occurs when the edge of a nail curves and cuts into the skin surrounding the nail plate. This may occur on both sides or on either side of the nail plate. Common signs include swelling, pain and tenderness. Infection may also be present. Trauma, incorrect nail trimming and unusually curved nails are the common causes of ingrown nails. The condition mostly affects toenails, especially the big toe but can also occur on fingers. Anyone can be affected. Medical treatment is only necessary in cases of severe, infected or recurrent ingrown nails. Otherwise, most patients are able to recover with treatment at home. 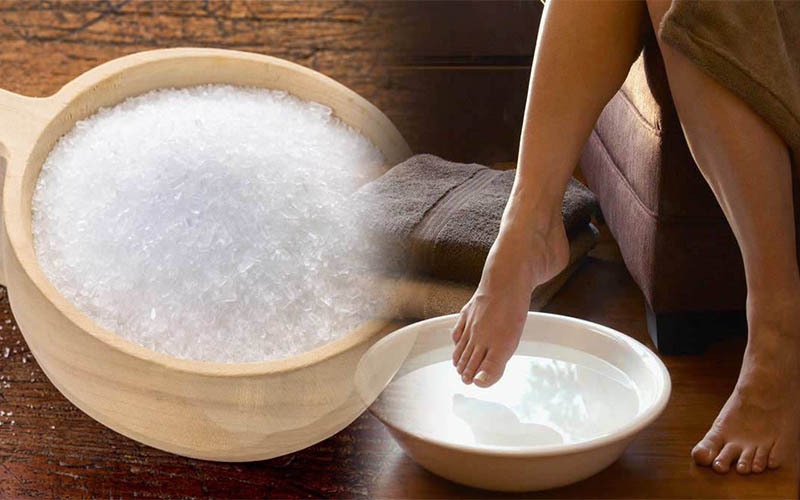 One of the most common natural treatments for ingrown nails is use of Epsom salts. This article focuses on how to get rid of an ingrown nail with Epsom salts. If an ingrown nail is causing you discomfort and pain, Epsom salts may be the remedy you have been looking for. 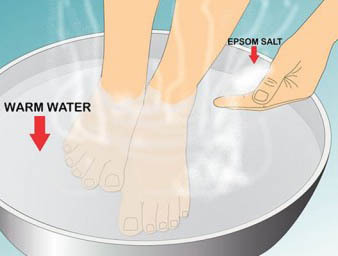 Epsom salt is a form of magnesium sulfate. It has been a component of bath salts since the 17th century. The salt gets its name from a bitter saline spring at Epsom in England. Sulfates are known to aid in nutrient absorption, flushing of toxins and easing severe headaches. While Epsom salts can be used internally, use in baths is more popular. Once added to water, the salt works on basis of the process known as osmosis. It draws fluid from the swollen area thus reducing inflammation and drawing toxins that may cause infection. Additionally, the soak will soften the skin which comes in handy if you are considering ingrown nail removal. Epsom salts may be differently concentrated depending on where you are purchasing them. For this reason, make sure to use as directed in the package. Begin with preparing a bowl of water, about 37 degrees Celsius. Add the Epsom salt and stir. You can use your hand to feel for clumps. Most sources recommend that you soak your feet for 15-20 minutes. Do this at least 3 times in a day. Another method is to use hot and cold water. In this case, you are to begin with soaking in the hot water for about three minutes after which you are to switch to cold water for another 3 minutes. Do this three times. For better results, you can try massaging your foot while it is submerged in the warm water. This encourages the outward flow of fluid and pus. Once done, ensure to dry the entire foot. Bacteria and fungi love moist and warm areas. 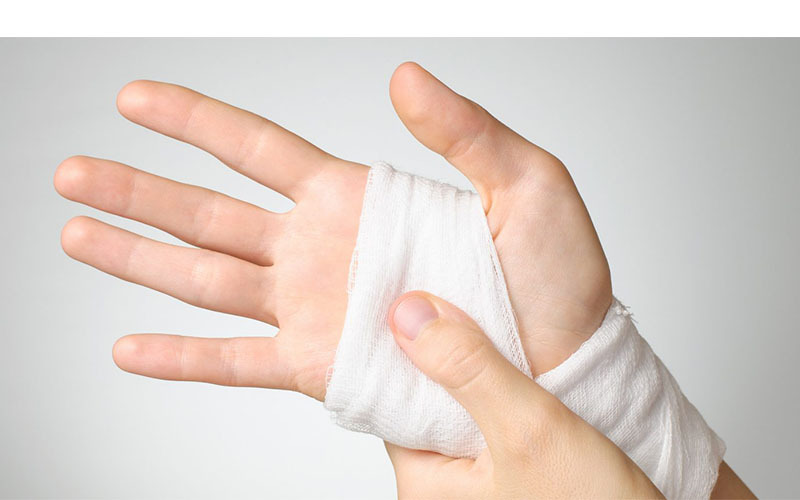 Replace any bandages you may be using and remember to apply an antiseptic. Natural remedies are necessarily not meant to cure diseases or conditions. What they do is relieve symptoms and in the process make the condition tolerable. It is almost not practical to think that Epsom salts will actually cure an ingrown nail. The most the remedy can do is reduce inflammation. With reduced swelling, the ingrown portion of nail may straighten up back to the normal position. An ingrown nail is just a normal growth which has grown into the wrong place. It can therefore be guided back to normality. To do this, you will need to lift the ingrown portion and place a piece of dental floss or a cotton wisp between the nail and skin. After a week or two, the nail will have grown long enough to not cause problems. Be careful when using cotton because it can introduce bacteria into your nail matrix. Ensure to apply an antibacterial ointment about three times a day or as directed by a physician. This is regardless of whether signs of infection are present. After application, dress with a bandage which is to be changed at every application. Other than Epsom salts, there are several other home remedies recommended for ingrown nail treatment. These include tea tree oil, apple cider vinegar and hydrogen peroxide. All these have antimicrobial properties which comes in handy with ingrown nail treatment. All the same, try not to overload your toe or finger with remedies and medications. It is important that the affected nail be kept short. When trimming any of your nails, do it straight across. This ensures that the balance between the growth of nail and nail edge skin is maintained. Ensure not to cut your nails too short. You can always consider help from a specialist. 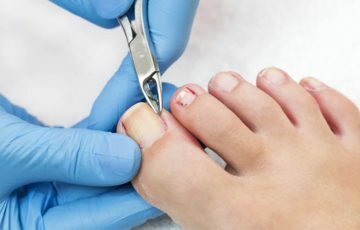 If your ingrown nail is showing signs of infection such as widespread pain and pus discharge, it is the type to test your surgeon skills with. Check with your doctor as soon as possible. You will need warm water, an ingrown nail tool, tweezers, cotton wool and antiseptic. 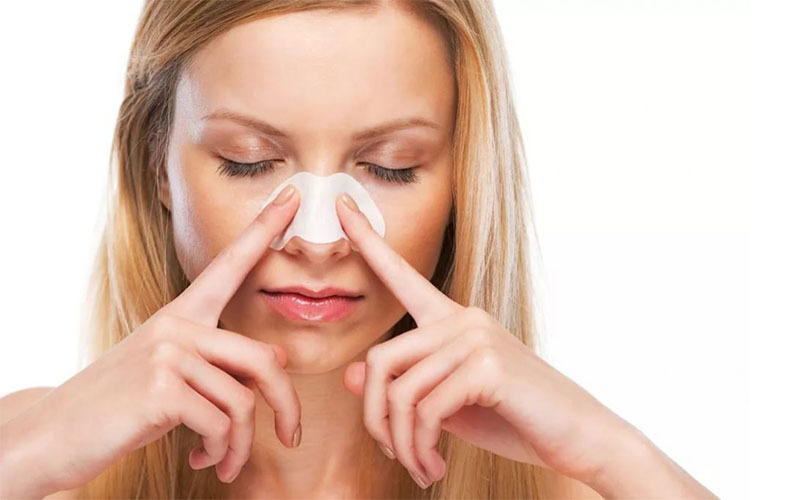 Keep cleaning and applying an antiseptic throughout the minor surgery. Afterwards, closely monitor your toe or finger. Any complication should always be given medical attention. Ingrown nails are often not as a result of negligence. All the same, much can be done to prevent them. Below are tips that may help. Ingrown nails get worse with time. 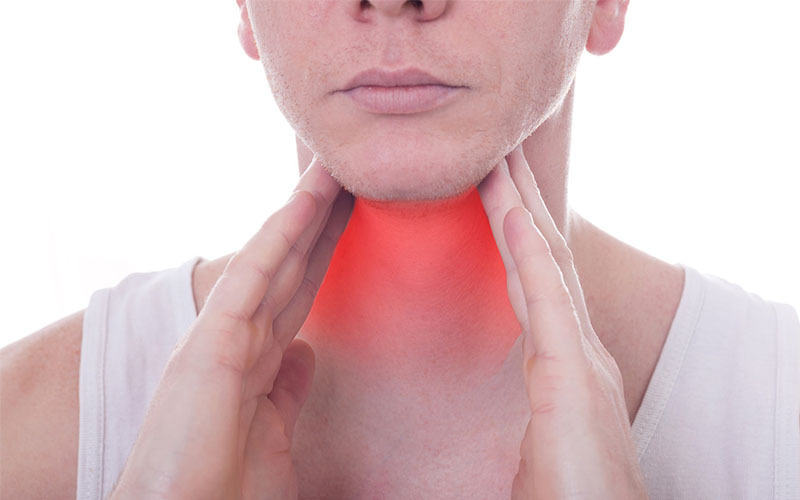 First symptoms include pain and swelling. On close inspection, you will be able to see the portion of nail that is cutting into nail edge skin. If you discover an ingrown nail before it actually penetrates the skin, trim it yourself or have a specialist do it for you. 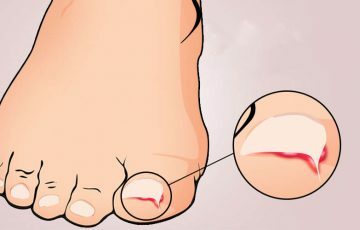 When you have long toenails, even the slightest pressure from shoes can crowd them up thus encouraging ingrown toenails. Long nails are also more likely to offset the balance between their growth and that of the nail edge skin. Doctors usually use surgery to treat ingrown nails. The operation can be partial or complete. After ingrown toenail surgery does the nail grow back? It depends on whether the matrix is to be ablated. If yes, the nail will not be able to grow back. Most surgeries don’t involve complete ablation of the matrix however. Ingrown nails are not one of those conditions that should give you sleepless nights. A couple of tools and remedies can get rid of them pretty easily. This is not always the case however. Some people only get relief after ingrown nail removal surgery. 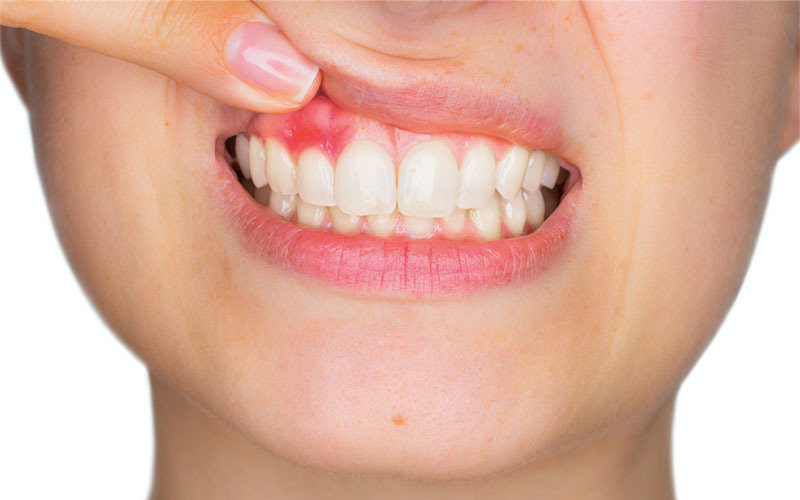 For example, an abscess may form underneath an ingrown nail. Such can result in a serious bone infection without medical treatment. Recurrence is also a common problem that requires medical treatment. Patients with a recurrence problem may get a portion of or the entire nail plate and matrix ablated. See your doctor any time you are to notice signs of infection or feel like the condition is a bit too complicated for you to handle at home. The good thing with medical treatment is that relief is almost immediate. 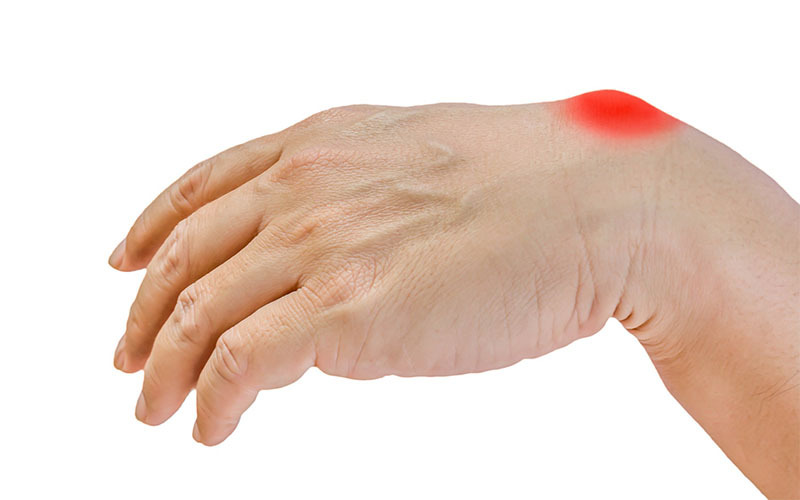 This can be very important when dealing with ingrown thumbnail symptoms when you are an office worker who has some typing to do. It is not fair to assume that ingrown nails are entirely a problem in humans alone. Apparently, dogs and cats too can be affected, especially if they are indoor pets. 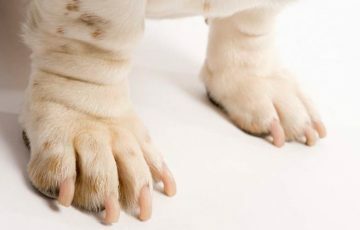 You can consider mastering the basic dog or cat ingrown nail removal steps, just in case.